experience was with Frankenstein and from there I watched one after another. Today I have a very cool Creature bust bank up for review. 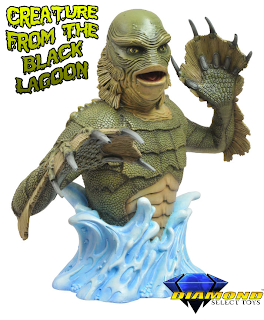 The first thing I want to say is that if you are a fan of the film then this is one collectible you will want to buy. Even though it is a bank it is also a damn good looking bust. I have seen a few Creature busts at a few comic shops before that command anywhere from $50 and up. This bank goes for around $20 on amazon and I can say it's worth every penny. 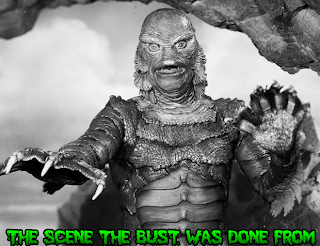 Detail: The detail on this bank is quite awesome, and it looks just like the Creature from the film. Everything from the detail on the individual scales to the lines in the gills was done with great love and care for this iconic monster. At the bottom of this review I will add a picture of the scene that this bust was based off of. I just am seriously blown away by how good they did with the detail. The paint job was very well done also. You can tell that each one of the banks are hand painted and meticulously done. The lines in between the scales and the rest of the fine detail are even painted. There is also a black & white version of this bank as well that looks awesome also. 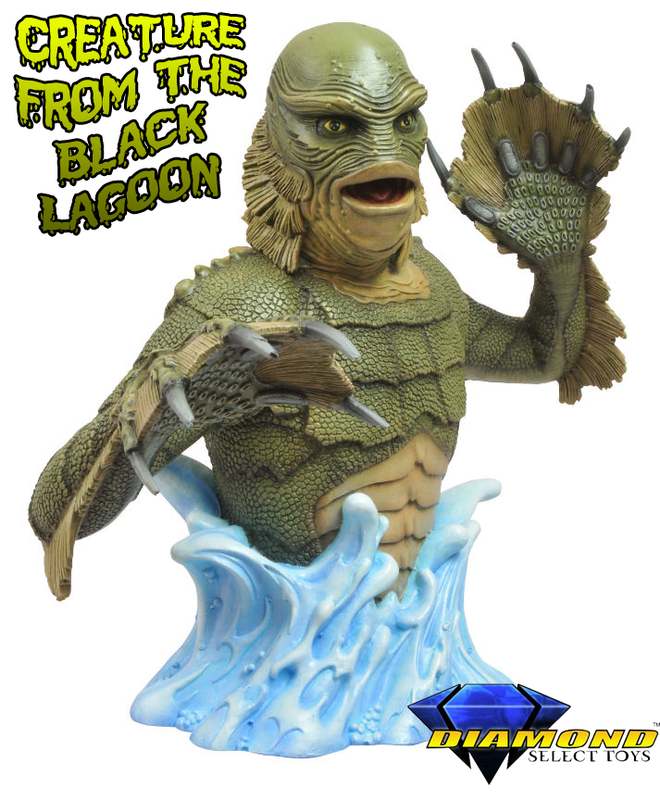 Overall this is a very well done collectible that I think fans of Creature From The Black Lagoon will be blown away when they unpackage and see this bank in person! There is also another bank bust that they did and it is of Frankenstein's Monster and is also available in B&W (which I will be definitely be picking up! ).